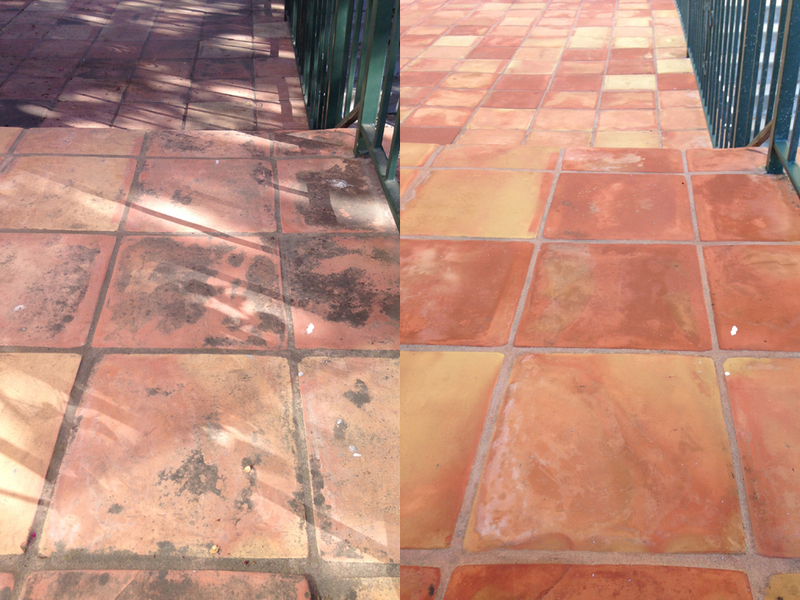 Mexican pavers tile cleaning and sealant application. 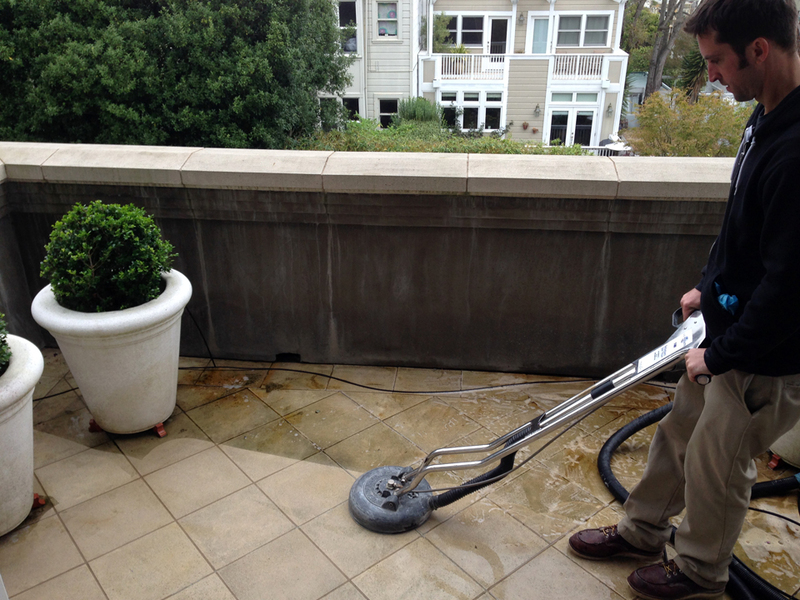 Stone Improvement provides expert natural stone and ceramic/porcelain tile and grout cleaning service. This service deep cleans the tile and grout, removing dirt, mold, soap scum, and other contaminants from the tile and grout. 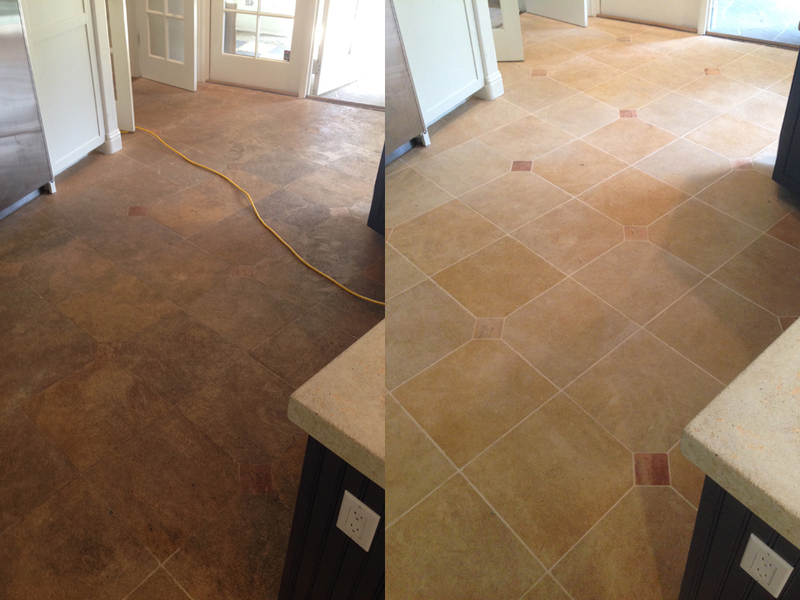 Our tile and grout cleaning service can restore floors, counter tops, shower stalls, walls lobbies, decks, and more. This service starts with laying down drop cloths anywhere in the home or office we will be walking or working. Boot covers are worn when walking anywhere else in the home or office. We then scrub down the areas using our eco-friendly cleaners and grout brushes. Floor machines equipped with scrubber pads are used for stubborn, hard to clean areas. We then go over the areas with our hard surface extractor. Our extractor uses 1,100 psi water pressure with a dual vacuum system to remove any dirt, mold, or oils from the substrate, leaving the tile and grout thoroughly cleaned. After the cleaning we break down our equipment and let the areas completely dry before sealing.